I can hardly believe it, but we settled on our new house (and the old house too) on Monday! It went as smoothly as we could have asked for – one taking place right after the other. We got really lucky selling our old house to our friend/neighbor is that they are okay with us renting our house back from them for the next month so we can get some of the renovations done before we move in. Having just lived through a massive reno, we didn’t want to do it again so soon. 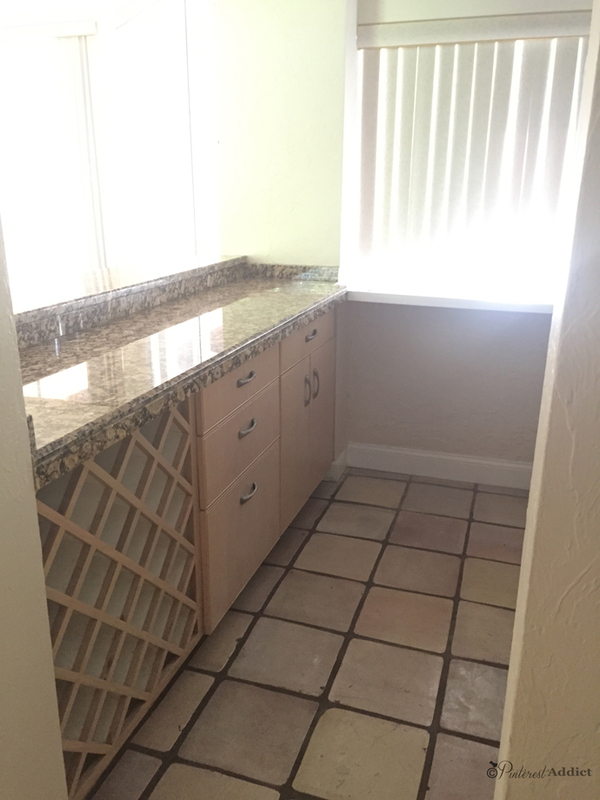 Although we’ve already started to demo the tile throughout the whole house, I wanted to share some of the before pictures so you can see where we are starting from. View from the front door into the patio and back yard. This is the view from the front door into the back yard. I love the wood plank ceiling on the patio – going to have to stain it at some point. I love the height of the ceilings throughout the house, and the beautiful crown moulding. 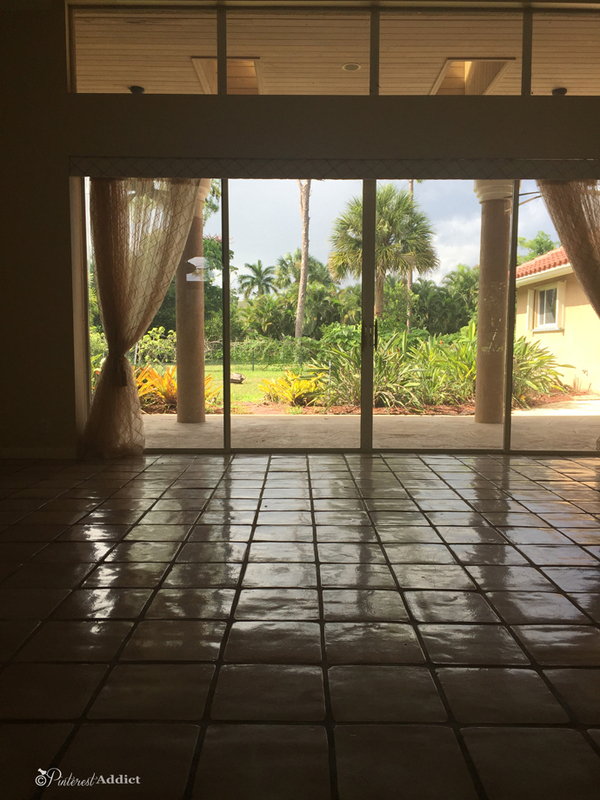 This is the view from the laundry room door, looking at the great room, and the back of the kitchen on the left. The family room is to the right, and where you see the light hanging, that is where we are going to put the pool table. The mirror you see to the left is in the bar area. And straight ahead is where all the kids’ rooms are. This is the view from the opposite side. 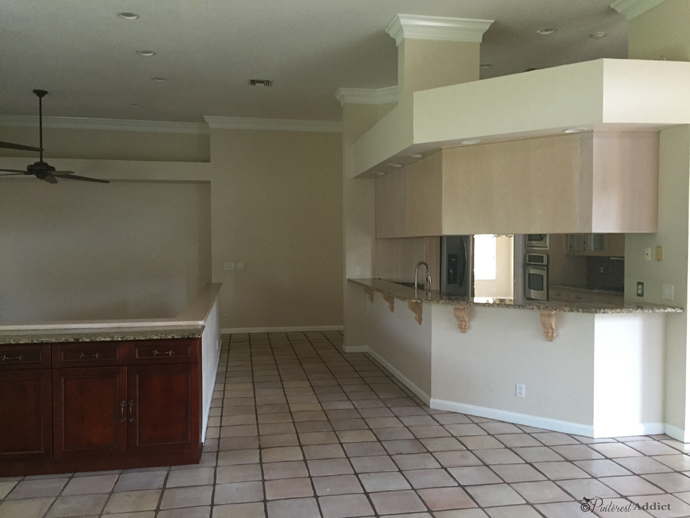 You can see the kitchen a little better in this picture. When I took all these pictures, I had the blinds closed, so it looks darker than it is. 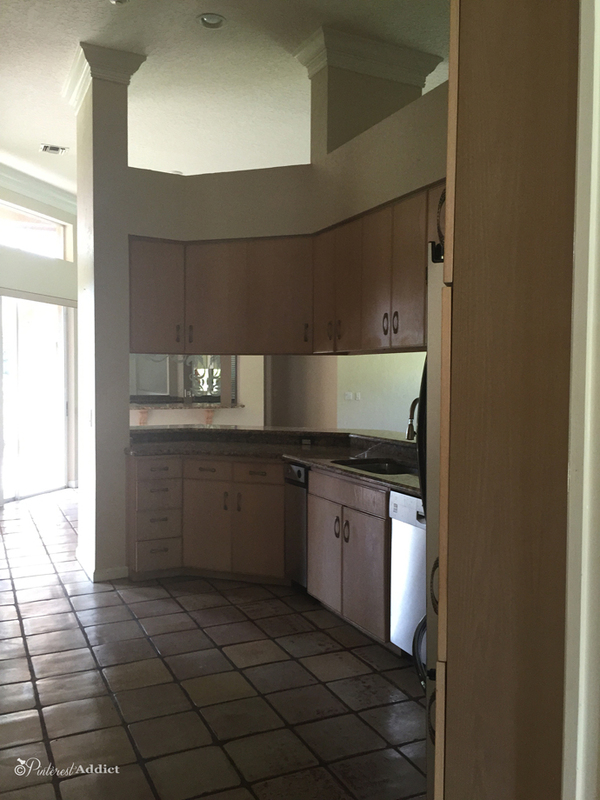 We are planning on taking down the hanging cabinets in the kitchen to open up the space to more light. We plan on just having a big island, and just the back wall of cabinets. Our family room has a fireplace, which is in dire need of a makeover. It’s not up to code, the mantle is not even attached to the walls! 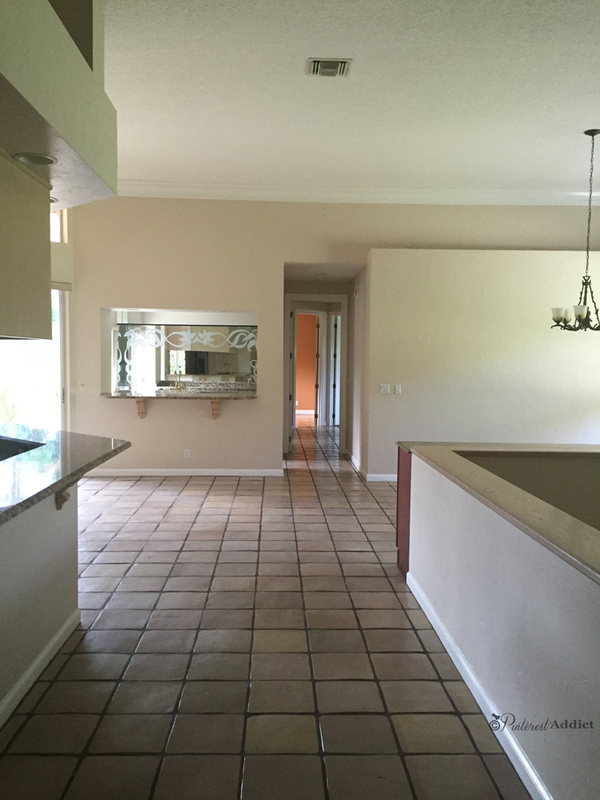 The space closest to you in the above picture is where we are going to put a pool table. I love that it has all that storage built in! That is one of the best things about this house – it has fabulous storage. Cabinets all over the place. This is the other side of the kitchen. We are going to remove all those upper cabinets soon – let there be light! 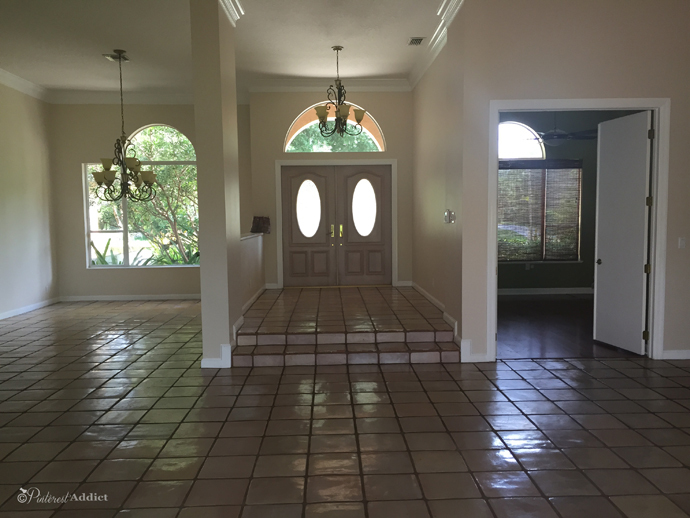 Now, I love saltillo tile when it is done right. Unfortunately, it’s not done right in this house. They are painted an odd blond/pink/white-ish color, which is chipping all over. 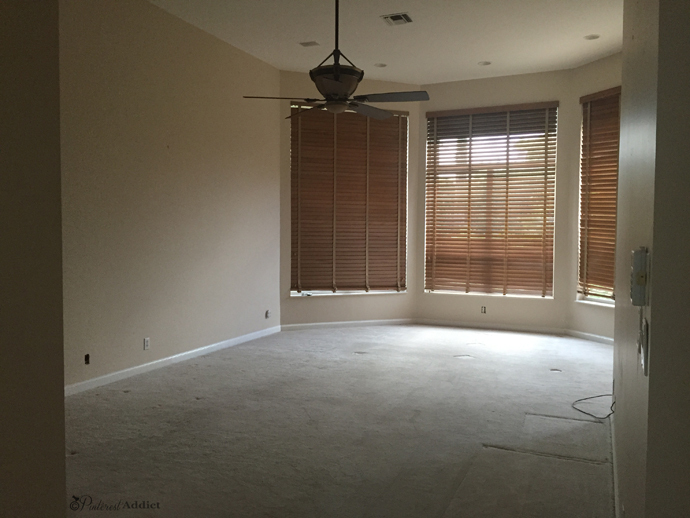 We are in the process of removing them all from the house… all 3000 square feet of them. Here is our master bedroom. 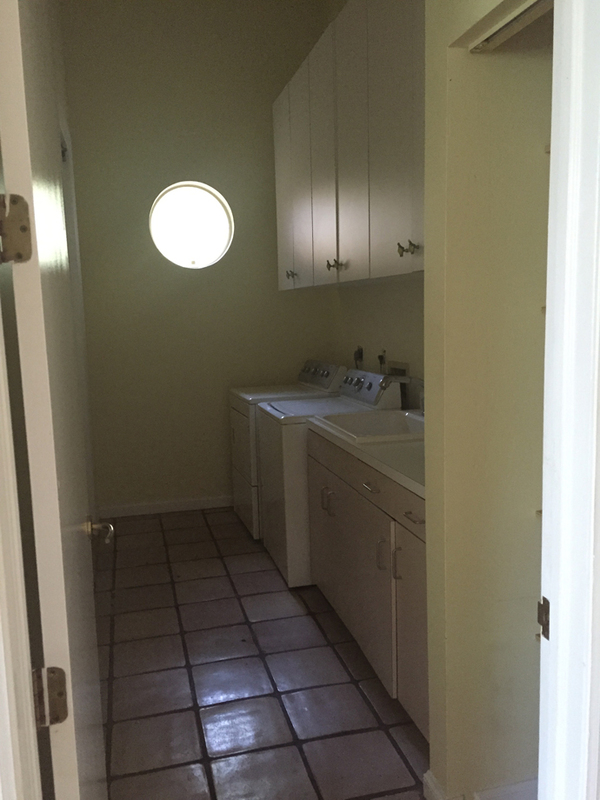 It’s a great big space, with two big walk in closets. So excited for the extra storage space for all my fabric and crafty crap! The master bathroom, while not my taste exactly, is well done and is the only room in the house that will not be getting new floors any time soon. I think we will just paint the walls, and change the cabinet handles for now. And replace the gold framed shower door and window at some point. Now, the kids’ bathrooms will need some more immediate attention… This is the cabana bath. I kind of think it’s funny that all the toilets in this house are SUPER short, especially considering how tall most of the ceilings are. We’ll be swapping them out fpr taller versions when we change the floors. This is the guest 1/2 bath. 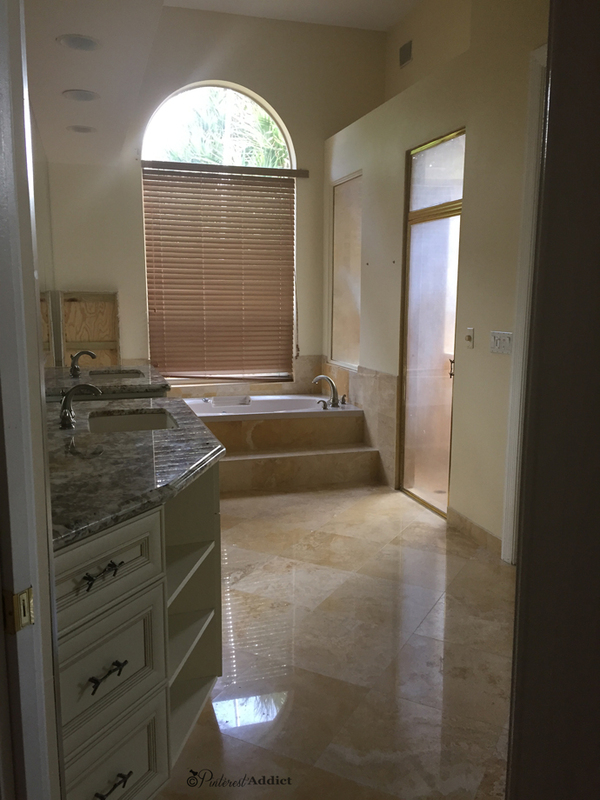 I can not wait to paint this bathroom… I’m planning on something dark and dramatic! 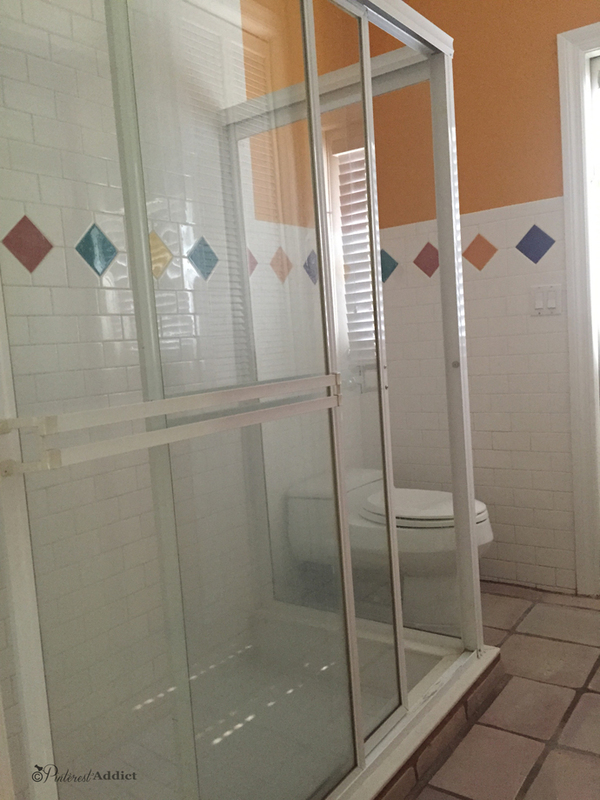 These next two pictures are the boys’ bathroom – it’s a jack and jill bathroom between two of the kids’ bedrooms. The previous owner took the mirrors with her from two of the bathrooms, but since I had a slight problem with buying mirrors, I have a few to choose from to replace them. 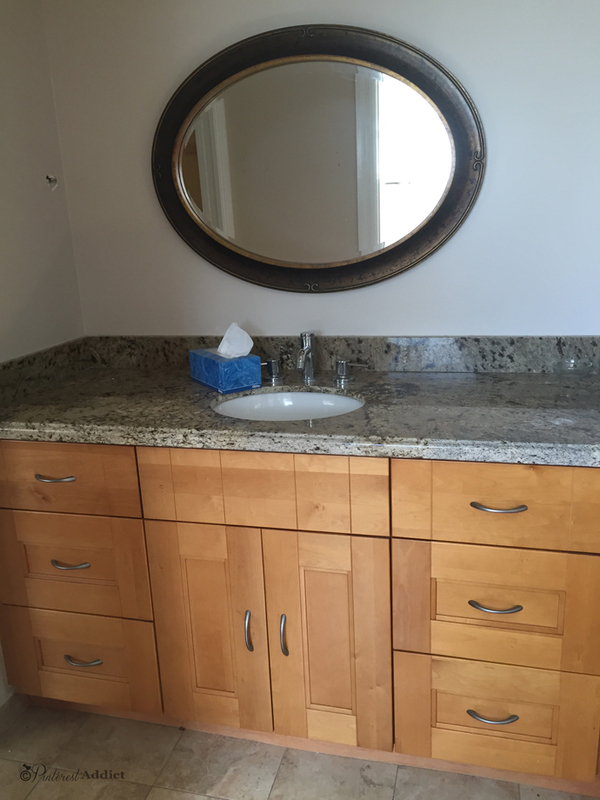 While the cabinet is nice quality and the granite counters are, well, granite, they don’t really work well together. I think I’ll be staining the cabinet a dark color to make them work better together. The same is true in the cabana bath, which has the same materials. 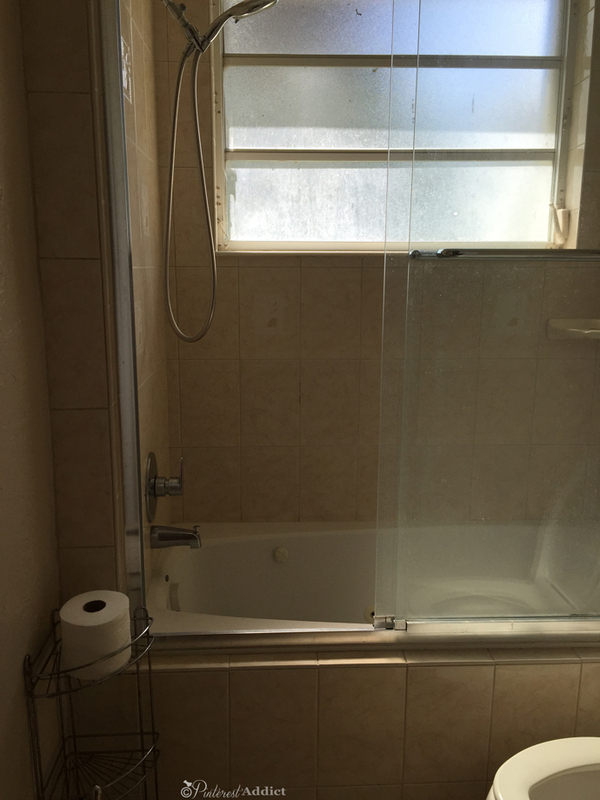 The window in that shower is busted – being held together with tape. Lovely. 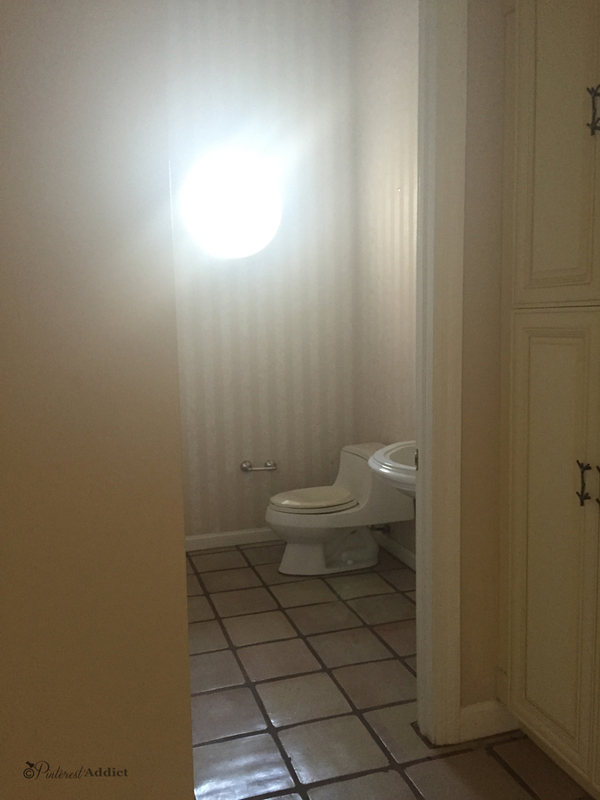 Another funny thing about this house is that out of four bathrooms, only one of them has a toilet paper holder on the wall. Am I the only one who thinks that’s weird? We have a bar area – complete with a window to the patio so the bartender can serve drinks right from the bar to the people outside. If we were bigger party people, maybe that would be awesome, but I don’t think we’ve ever thrown a party that needed a bartender. 😛 I think I’ll be converting it to a butler’s pantry, or possibly just a regular pantry since we will be losing the upper cabinet space in the kitchen. What can I get for you to drink, ma’am?? Are you loving that frosted design on the mirror as much as I do? LOL! Have you noticed yet that all the granites are different throughout the house? I don’t even want to think about what it would cost to make them all match… ugh. One of the things I’m most excited about is having a third car garage. We have just two now, and the entire thing is taken up by tools and workout equipment. Unfortunately with all the stuff we have, there is not enough room to use any of it! So, this one car garage will be just for the gym equipment. Then, we’ll be able to actually use it! As you can see, I started to paint it today before I remembered to take the before photo. 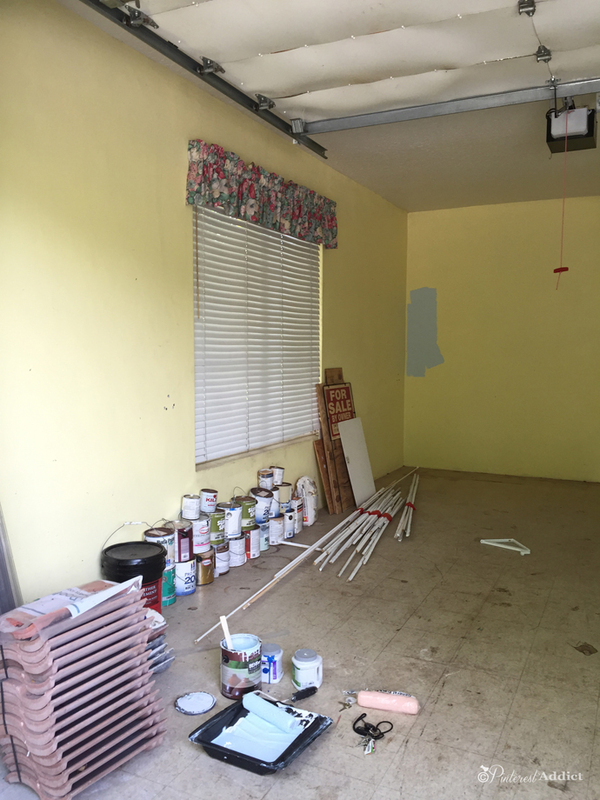 I know that the garage is an odd thing to paint first, but I can’t do anything in the house right now because of all the demo happening. 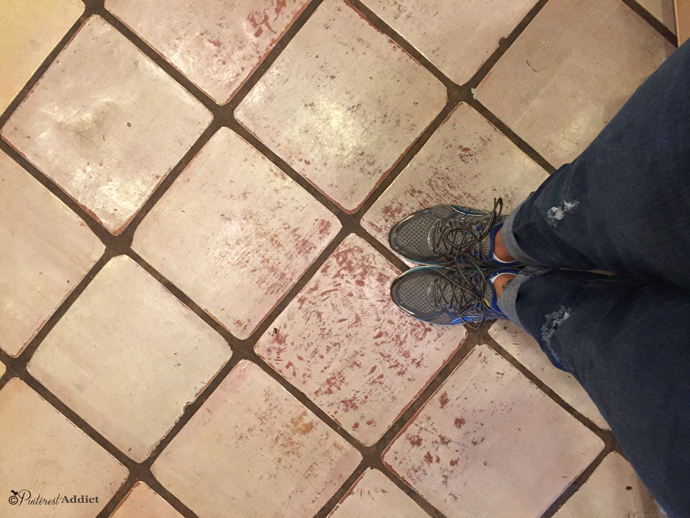 I’m trying to figure out if I can paint over the tiles on the floor in there – they are in rough shape, full of rust stains and crud. The two car garage next to it just has a painted concrete floor, so it would just be this one needing an update. Also, just wanted to give you all an update on how the adoption process is going. Our home study has been completed and signed off on and we are now allowed to start looking for a child. (I don’t mean to make it sound like we are going shopping for a kid, I just don’t know a better way to say it.) We can look at the Heart Gallery websites to see if any of the children pictured would make a good match for our family – and to see if we would be a good match for him. So far, we’ve only looked locally, but we can look throughout the U.S. if we want. We were really excited to get the go-ahead on that. I just keep thinking that our child is out there, waiting for us to find him… makes me want to cry thinking about it. 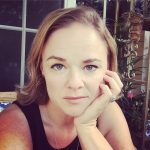 It feels like the process will take forever – and we are missing out on each day we could spend with him now. Does that make sense to anyone else? Alright, going to go do some laundry. It’s the one thing that always suffers when I get caught up with projects… at this point, I’m surprised we aren’t all walking around naked over here! WOW!! I can see a whole lotta fun going into this baby! Congrats on your new purchase and best wishes in your new home.. I look forward to seeing all you do to it.. Thanks! My head won’t stop spinning with all the ideas I have for the new place! Right now, I’m restricted as to what I can do until the floors get put in (and the kitchen!) but I’m excited about planning it all! I LOVE it!! I am so very excite to see what you do with it! Such amazing potential!! Your new house is fantastic. Just curious are you still in Lxhtc. We moved to the farms a year ago. Love it here. 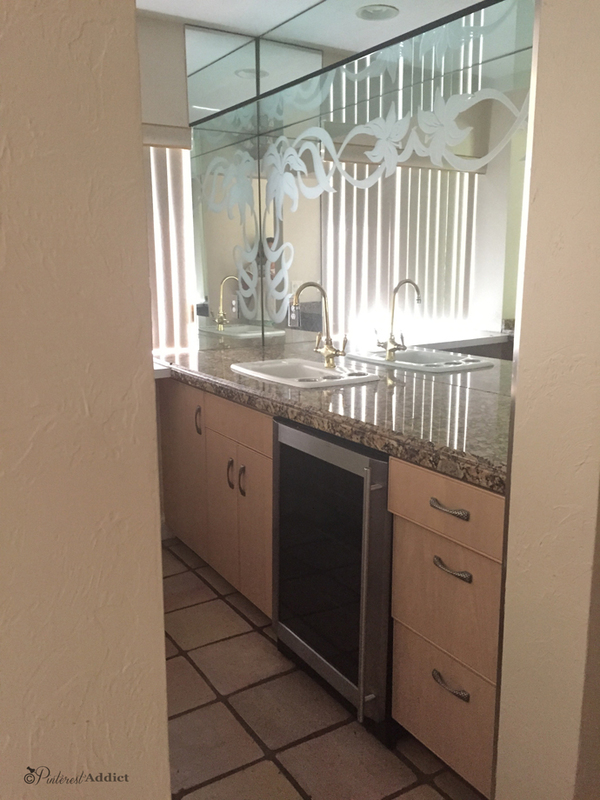 I kind of like the different granite everywhere… I love texture!!!! Congrats and ENJOY!!!! Very interesting!! 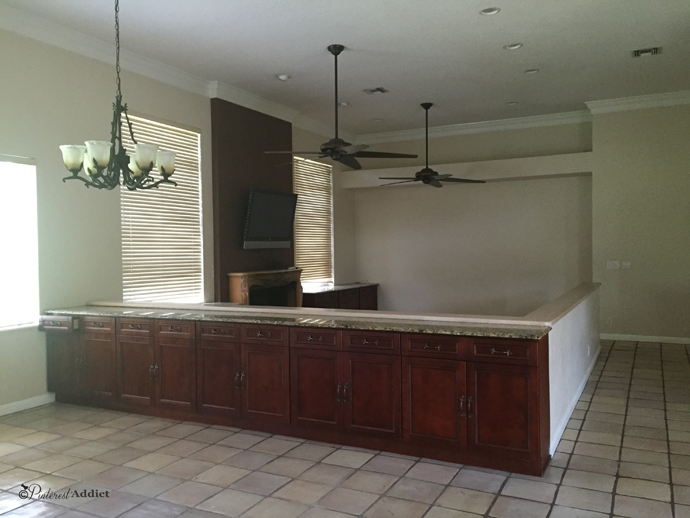 You are going to have so much fun with the redo of the house!! I’m envious!!! Question….you say yall are ready to start the hunt for a child- but then you say “him” after that. Are your hearts set on a boy or is the option open for a wee lass, maybe? Sometimes you see the photo of the child- and your heart just KNOWS that it’s the one!!! !